this week, some great ubon-style molam! 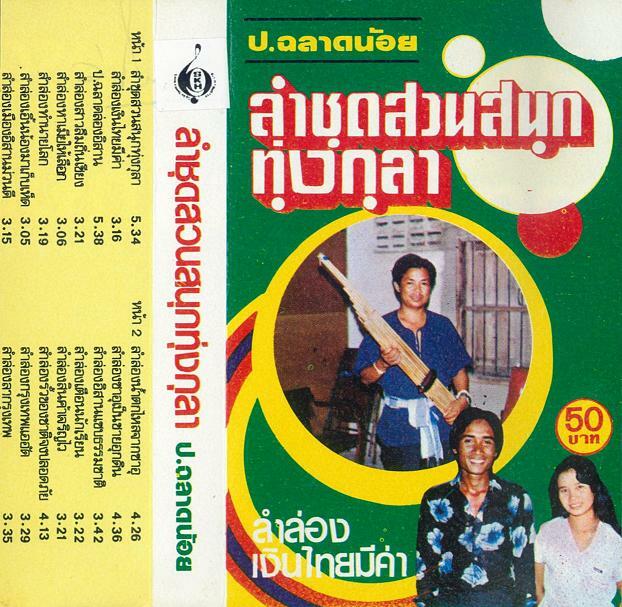 mr. chalat songsoem, better known as p. chalatnoi, is one of the greatest molam to come out of ubon ratchathani, an authority on local singing & composition styles and a vital distributor of folk wisdom. although best known for his mastery of lam klon, this tape features mostly pieces of the related but less-common lam long style, notoriously difficult to perform. today he holds the title of "national artist" and teaches at khon khaen university. wonderfully sparse traditional voice & khaen, enjoy! Great one! This lam long style seems to be cool, I like the different rhythms that happen between voice and instrument. This is fantastic! I searched monrakplengthai for khaen, and a plethora appeared; this one really hits the spots. what vocalisms (reminds me of carnatic style) and khaen outpourings; I am grateful for your sharings, and grateful that your past posts are alive and well! peace and continued enjoyment to you, Peter. yeah i've been lucky with my file hosting services (compared to other blogs i know).. if you do find any dead links, though, please let me know & i'll try to get them back up right away.